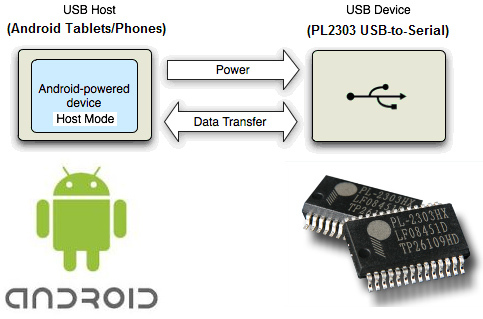 Prolific Technology announces the world’s first and only Android USB Host API driver solution (NO root permission needed) for connecting PL2303 USB-to-Serial devices to Android-powered devices with USB Host mode support. Prolific provides Android USB Host API driver solution (NO root permission needed) for connecting PL2303 USB-to-Serial devices to Android-powered devices with USB Host API mode support. The PL2303 Android JAVA driver library allows customers and developers to write Android applications to interface their PL2303 RS-232/UART devices with millions of Android USB host devices like Smartphones, Tablets, and Smart TVs.